From drawing the first graceful lines of the design to buffing the last piece of cherry, each step to build a Tartan is taken with care. Instead of being stripped to the barest of demands, Tartans undergo additional steps during the manufacturing process that increase the enjoyment, longevity and safety of the final product. 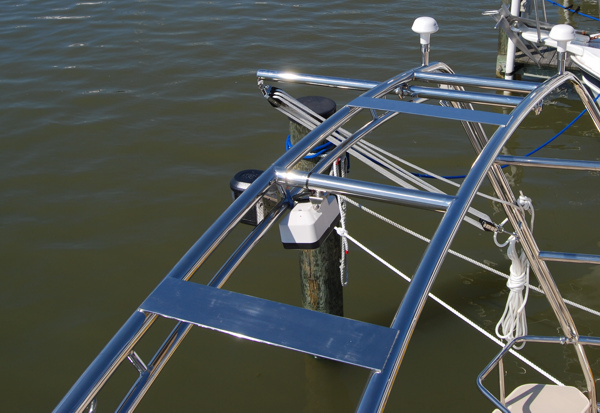 NLS had been designing and fabricating stainless steel hardware for Tartan Yachts when the challenge to design a cockpit arch was brought up. 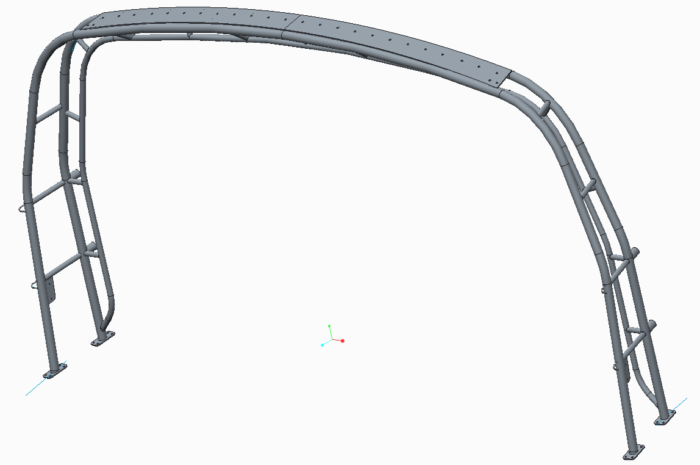 An arch like this is an extremely complicated 3 dimensional shape. While the design was quite complicated, the manufacturing was even more so. A challenge met with a beautifully finished arch.